When you’re in inspiration mode, scrolling through Flickr, soaking in the incredible shots from photographers around the world, and getting lost in the literal billions of eye-popping, jaw-dropping photographs from your communities, it can feel like a burden to open tab after tab of individual photos just to add them to galleries, albums, and groups. It was time for a reappraisal of sorts. Organizing all the photographs you find inspiring needs to be easy. Really easy. So we built a new way to add all your favorite content to galleries, albums, and groups in one centralized tool from any photo context on Flickr. All photos on Flickr, wherever you come across them, will now have a new icon with a + that allows you to access a new menu of actions. 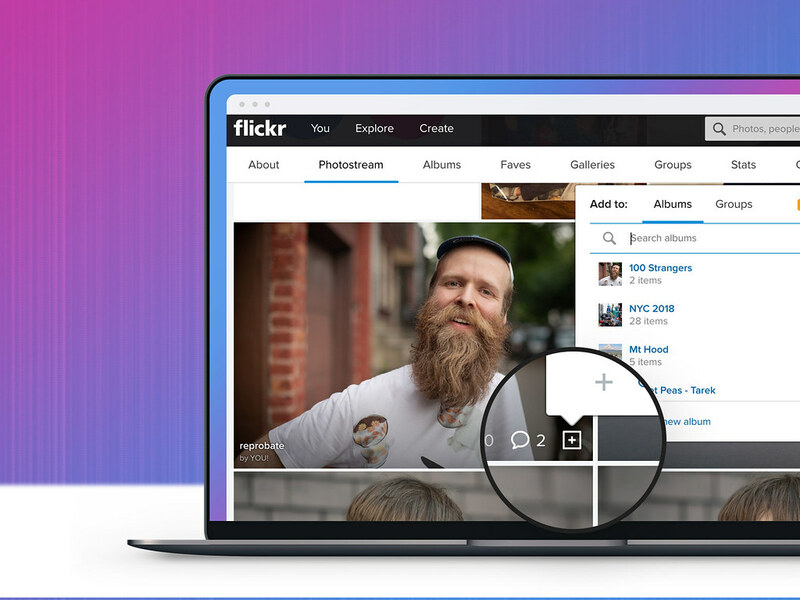 When you’re looking at photos from other Flickr members, the + will allow you to add that photo to any of your own galleries or if you’re a group admin, invite the photograph’s owner to add that picture to your group. If you’re looking at your own photos, the + will allow you to add your photographs to any of your albums or quickly submit your photo to the groups you are a part of. 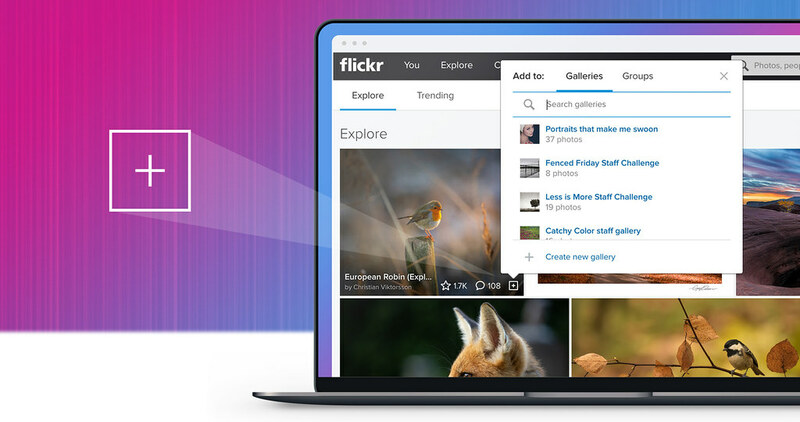 We’re all about supercharging your Flickr browsing experience and this is just one of many awesome updates we have planned to make organizing and curating your Flickr experience quick and easy. We’re rolling out the new feature over the next few days, so if you don’t have it yet, hang tight, we’ll release it to you soon.